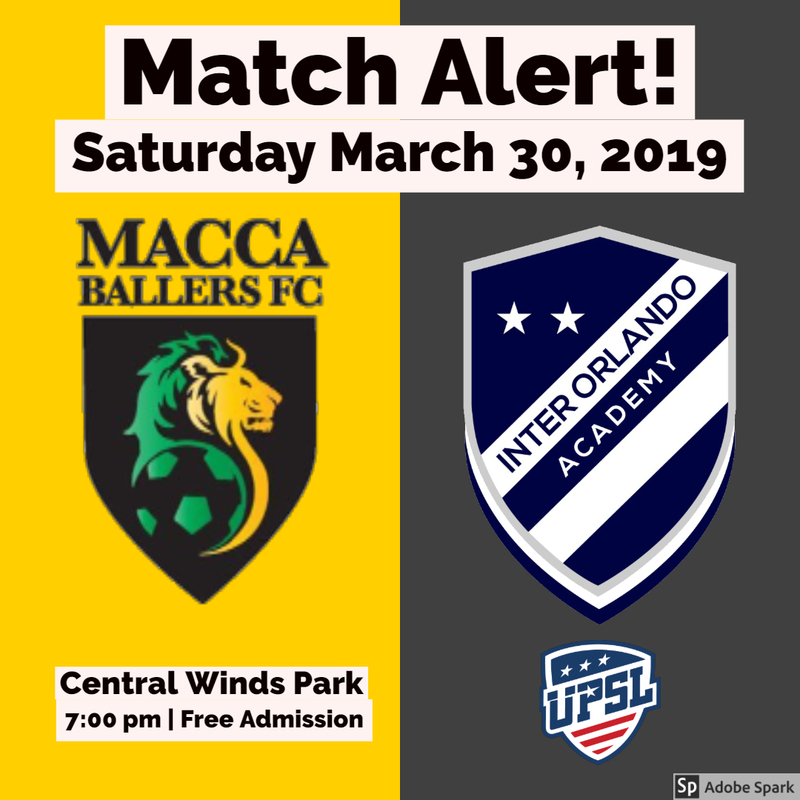 Home team Macca Ballers FC vs Inter Orlando Academy. Admission is FREE. We are proud to have several talented current and former players from FKK representing the Macca Ballers Team.